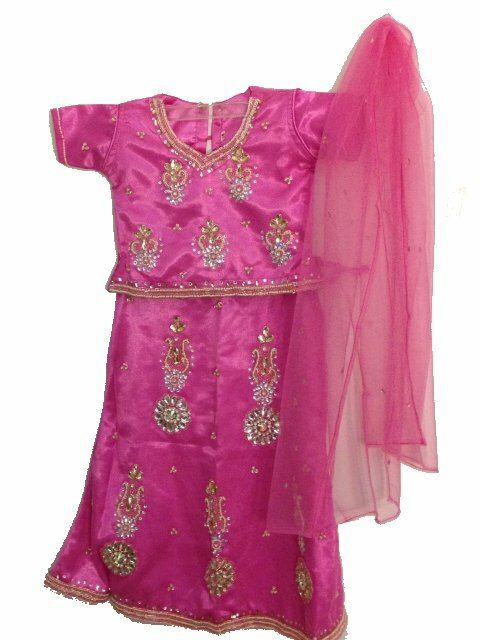 Gorgeous pink net kids & teens lehenga choli with kundan stone work. The choli (blouse) is pretty pink and is embellished with sequins and beads at the neckline, base and edge of the sleeves. The rest of the choli is adorned with kundan stones in beautiful traditional design. The pink lehenga has a second layer of net fabric and has similar work at the base. The waistband of the lehenga is drawstring and is embellished with heavy kundan stones. The net dupatta is dusted with tiny sequins all over. A gorgeous party wear outfit for young girls & teens for any special occasion!Sizes available for girls aged 1 year old up to teens. This item in Lehenga Choli for Kids category was first added to our catalog on 09-26-2013. 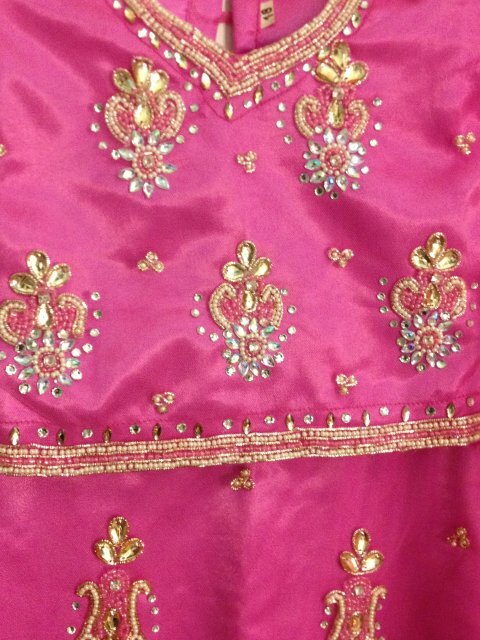 Buy Stunning Pink Kundan Stone Work Net Lehenga Choli, sold & shipped by desiVastra.com where you can shop online for Traditional Dress for Baby Boy & Girl, Indian ethnic Wear for Kids. This Lehenga Choli collection has been tagged as Girls Dress, Pink Kundan Work Ghagra, Traditional Party Wear, Indian Kids Wear.